If you have sleep apnea and use the CPAP therapy to cure your disorder, you are probably having a tough time positioning the pillow so that it doesn’t displace your mask, shoving it into the face or blocking the exhalation port. In today’s market, it is very difficult to find a pillow which will fulfill all your requirements. 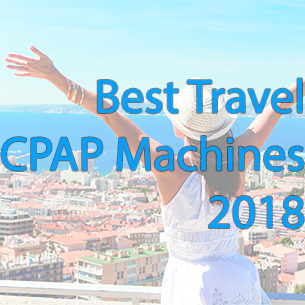 That’s why we have come up with the best CPAP pillows for side sleepers to assist you finding your best possible solution. 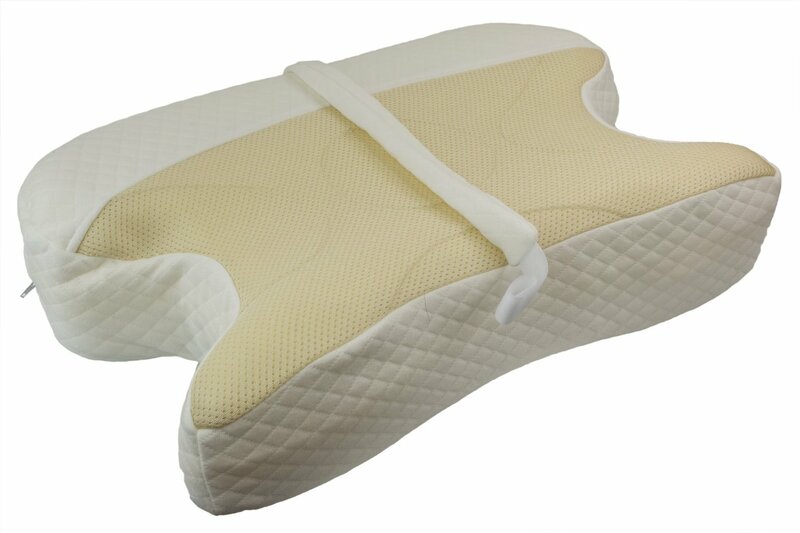 The Tri-Core Cervical Pillow is designed in a special manner to provide you proper alignment of the spine and relieve your neck pain. It lasts longer than most of the traditional pillows. Its trapezoid shaped center will give you great orthopedic benefits by holding the head and firmly supporting the neck. Three size options provide great comfort for children and young teens. 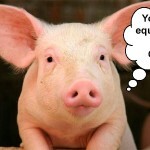 It has two different sized lobes to provide a better fit for different head sizes. Side lobes are made taller for aiding the side sleepers. Its blended cotton cover is super soft and extremely comfortable. You can choose either of the firm Standard Tri- Core Pillow or the Gentle Tri-Core Pillow with slightly less height and fiber. If you are relatively new to the cervical support pillow, you may feel some discomfort initially; but with time you’ll get adjusted to it. It will restore proper cervical curve while sleeping. 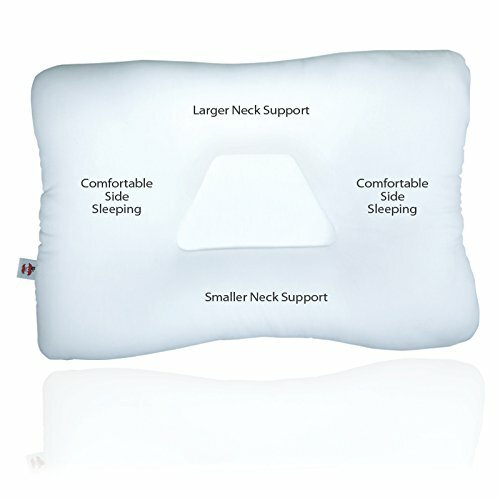 The Contour Products CPAPMax Pillow is a highly advanced next generation support pillow for sleep apnea patients. The improved design properly supports your head and neck. According to manufacturer Contour Products, The CPAPMax Pillow offers superior mask accommodation with its patented design and array of features. The larger cutouts on either side of the pillow allow the user to sleep on either side. This feature keeps the mask from pressing into your face. Users of different size and shape can use the optional removable layers to adjust the height of the pillow. This allows easier breathing by opening up the airways. The pillow has a built in hose tether which can easily attach itself to the user’s hose to eliminate hose twisting enabling the hose to move freely throughout the night. Overall, it is a great CPAP pillow for side sleepers. 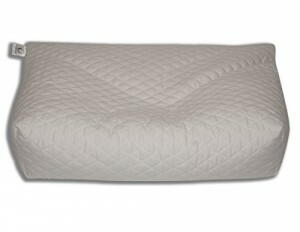 The CPAPfit CPAP pillow uses an innovative, modified buckwheat hull design with a three-layer quilted pillow shell to offer you the most advanced CPAP therapy. For added comfort there is provision for three layered quilted cotton cover filled with natural buckwheat hulls blended with foam. The special fill material (buckwheat hull) allows the pillow to stay dry and cool. Extra filling is provided so that your pillow never gets flat. It is adjustable to suit any sleeping position. Unlike other pillows, the fill does not push back against your head. Therefore, you don’t have to worry about waking up in the morning with a sore neck. If you are looking for a comfortable and cost effective pillow for side sleepers the CPAPfit CPAP pillow is highly recommended for you. 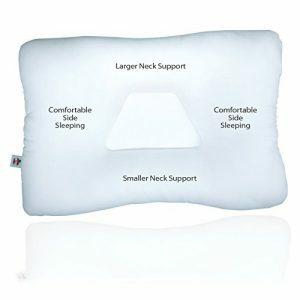 I was browsing earlier and didn’t even see the Contour Products CPAPMax pillow on Amazon! I must have missed it. I will likely get it through them since they are the cheapest I am seeing for that shape. I like it because of the gaps for the hose. The pillow I have now was double that price and this one actually looks a lot more comfortable!